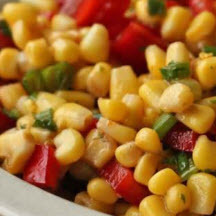 CooksRecipes has quality, kitchen-tested recipes for delicious salads featuring corn as a main ingredient. Surprisingly good and easy, the chili cheese corn chips provide all the seasoning needed. 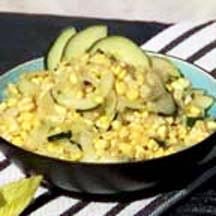 A tasty combination of fresh corn, cucumbers, sweet Vidalia onions and jalpeño seasoned with lime, honey and cumin. 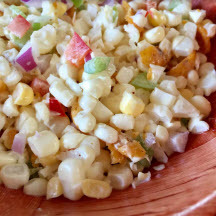 A colorful marinated corn salad with chopped red and green bell pepper, celery, green onions and fresh parsley in a tangy dressing.